Deer salami-type sausage. APPROX. 300 GR. Deer meat 60%, pork bellies 35%, milk powder, salt, dextrose, sorbitol, spices, aroma, flavor enhancer, preservatives. Iberian acorn sausage, 1/2 vacuum. APPROX 600 GR. Iberian "recebo" ham tray. Net weight 200 GR. 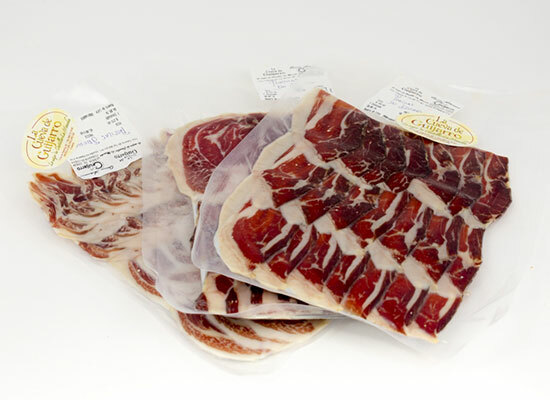 Iberian acorn streaky bacon. 1.3 KG APPROX. 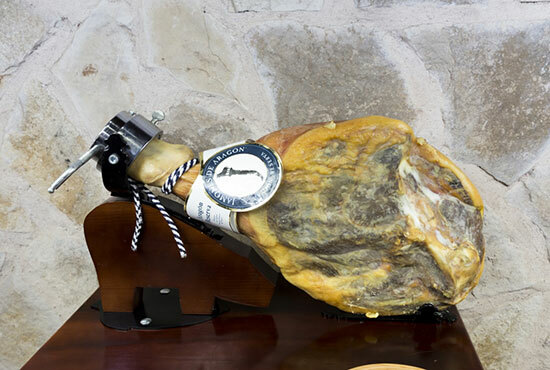 Well-cured ham "GRAN RESERVA". + 16 months of healing. APPROX. 8 KG.